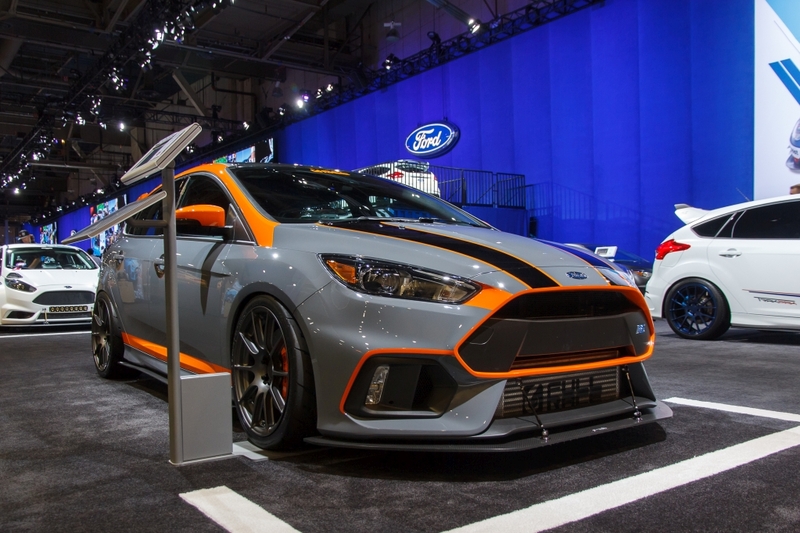 At the SEMA 2016, the current Ford Focus RS was one of the big stars and Ford USA has also created a great stage for the compact sportscar. 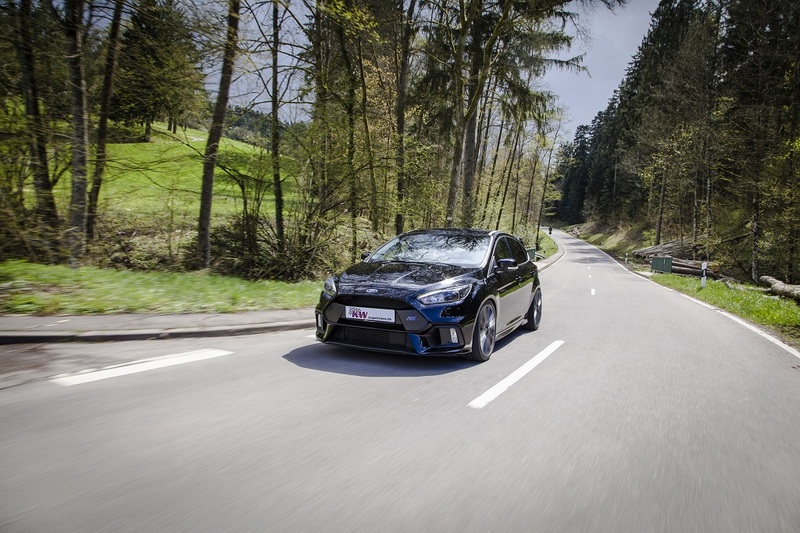 For example, the American KW partner “Full Race Motorsports” won the “Ford Design – Special Recognition Award” with its so-called “Concept RS” and also this Focus RS was already equipped with the new KW coilovers Variant 3. 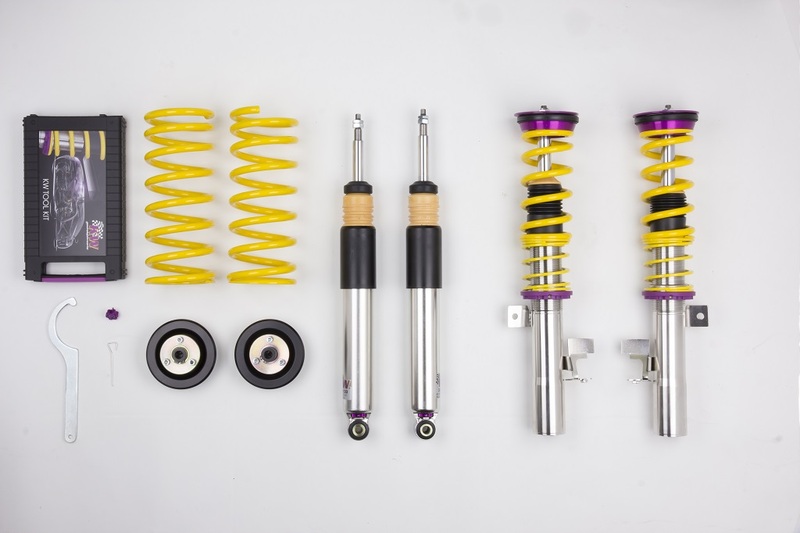 From now on, the independently in compression and rebound damping adjustable coilover kit is available everywhere and it increases the driving dynamics of the 350-hp Ford Focus RS. 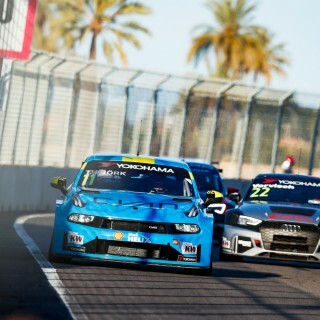 The new RS has various driving dynamic programs. 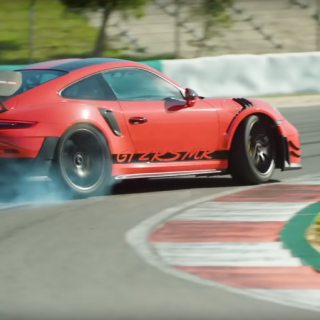 But the adaptive standard suspension only has two damper characteristics, the rest is taken control of by the so-called Ford Performance all-wheel drive with Dynamic Torque Vectoring Control. 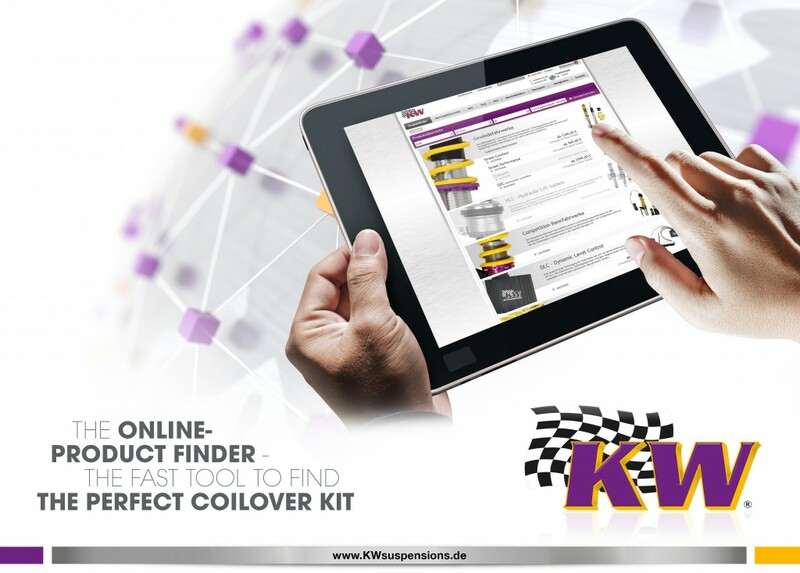 The scope of delivery of the KW coilover kit also contains a cancellation kit as plug&play solution that makes a reprogramming of the adaptive suspension control unnecessary. 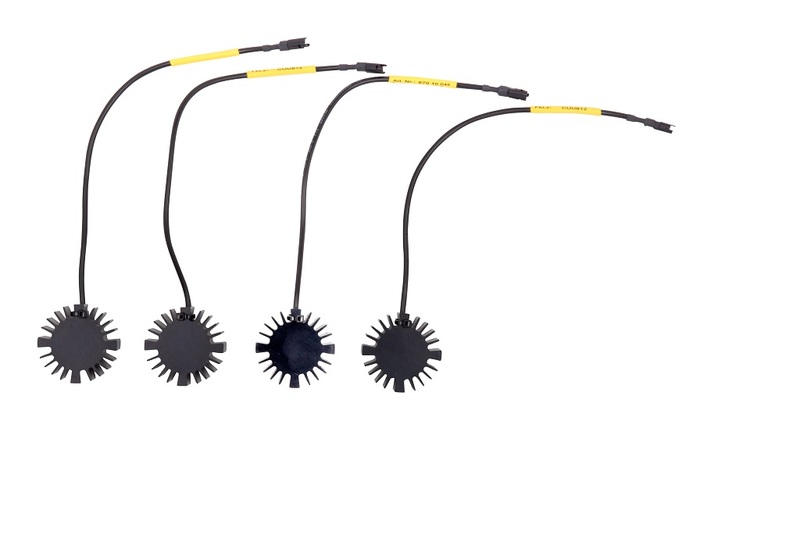 During installation, the cancellation kit is connected via a compatible plug-in connection and besides the adaptive damper control, all assistance and driving dynamics systems of the Focus RS remain active. 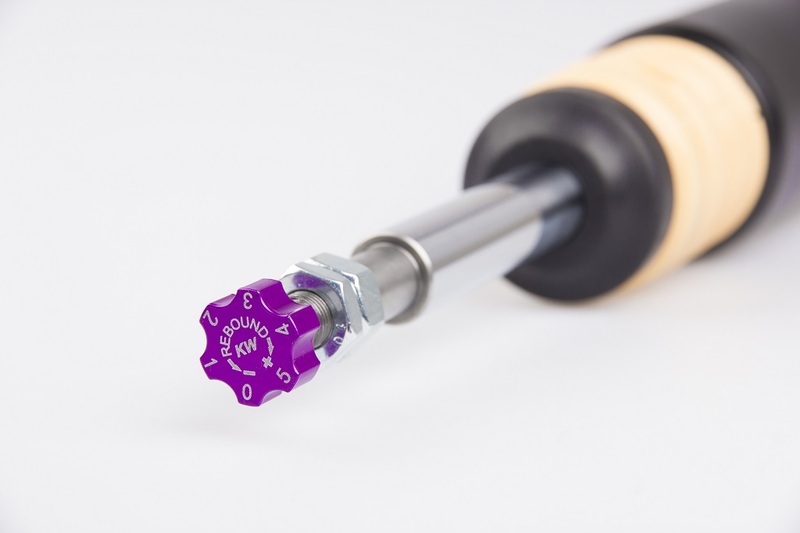 Besides the adjustable rebound and compression damping, the KW suspension technology also features preconfigured high-speed compression valves. This is best explained, that the high-speed valve opens automatically only after a certain system pressure, such as it occurs when driving over bumps or large cross-joints, and the wheels dive in. 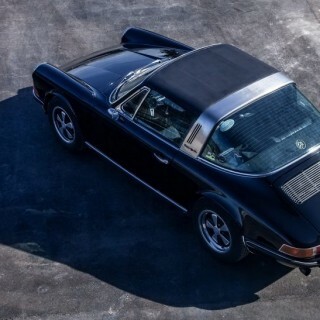 So with a conventional motor sport damper technology we prevent the jumping of the car. 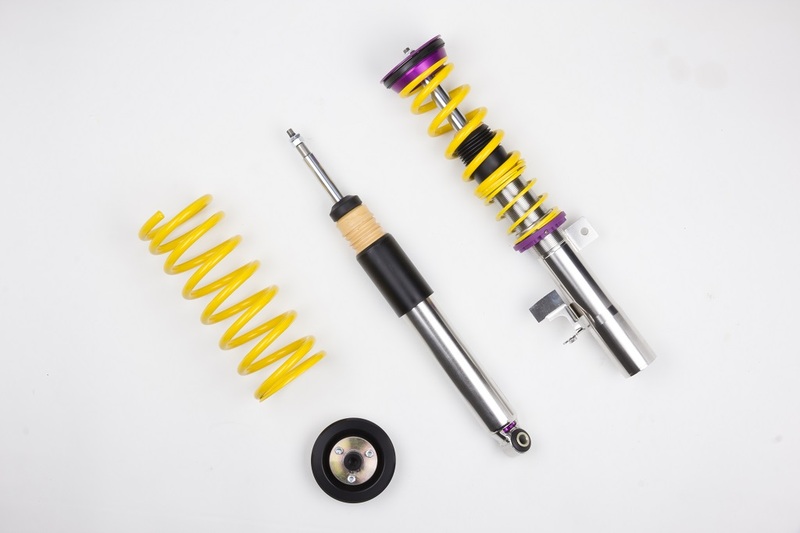 The KW coilover kit Variant 3 for the current Ford Focus RS is a conventional suspension kit that can be adjusted manually in damping. This gives the driver much more possibilities to select an individual damper setup than with the two series damper modes and can even consider changed wheel / tire combinations with our suspension. Via the rebound adjustment wheel at the upper end of the piston rod the rebound can be adjusted with 16 exact clicks either tighter or softer. With a lower rebound force, the comfort is increased, while with an increased rebound force, the handling further increases and the body movements are reduced. So even at very high speeds, the steering precision is noticeably improved. 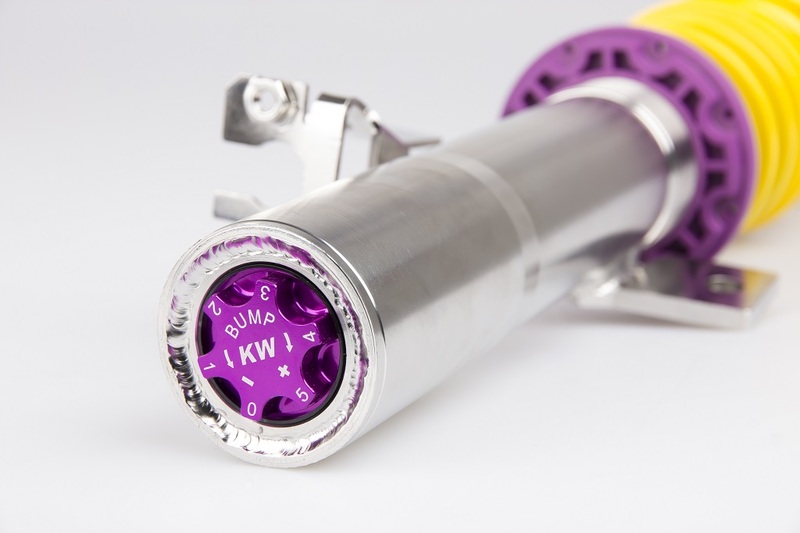 Independently, the KW multi-way valve at the lower end of the damper inner tube allows to adjust the compression stage, which in combination with the suspension spring also has an influence on the immersion speed of the piston rod. 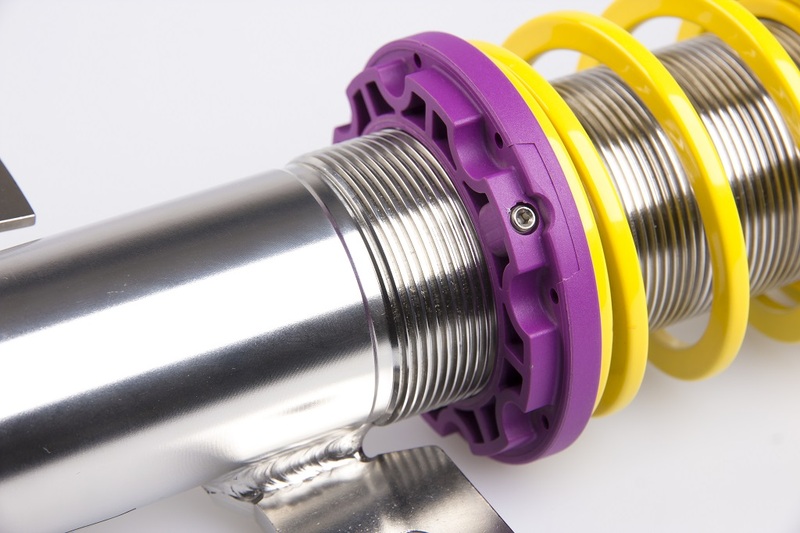 Via the integrated click wheel directly at the stainless steel housing, the damping force can be adjusted in twelve clicks so that no rolling movements of the body occur. In addition, a higher compression stage on the front axle supports an even more direct steering and on the rear axle it counteracts the oversteering. Due to the patented compression stage adjustment at the lower end of the stainless steel housing, not even tools are required. The adjustment of the continuous lowering is made directly via the dirt-resistant trapezoidal thread on the stainless steel struts at the front axle and at the rear axle height adjustment. According to the technical part certificate, a tested lowering of 30 – 50 mm is possible, at the rear axle, the range for an individual lowering is between 35 and 55 mm.